There are lots of days on my calendar that I look forward to throughout the year. The release of the next year’s Evernote calendars. But it’s my sign of transitioning and planning for the upcoming year. 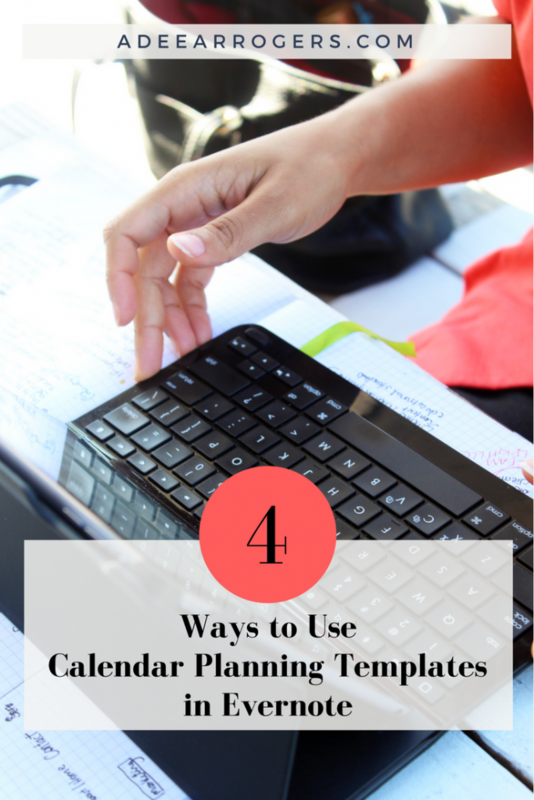 There are many ways to use the Evernote planning calendar templates in your life and business. 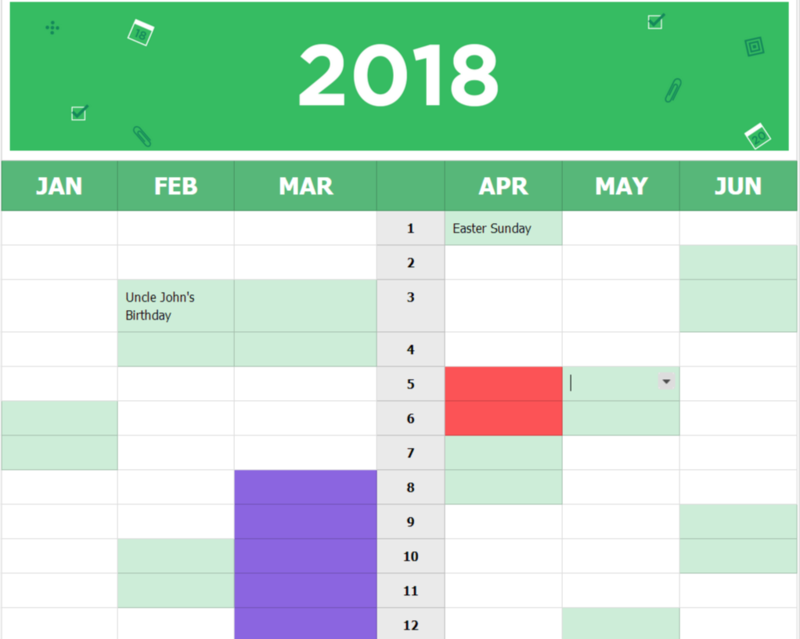 If you’ve never used or thought about using Evernote calendar templates, here are four ways to incorporate them into your planning and information management system. This is one of the best ways to use Evernote planning calendar templates. Use the monthly calendar to track and schedule your content for the day, month or week. You can create a key to multiple platforms (i.e. LS = Live Streaming, SM = Social Media, EM = Email Marketing). Your content description (i.e. Product demo) can also be hyperlinked to blog links, photos, videos, and drafts of content inside and outside Evernote. Whether you’re doing it solo or with a team, you can use Evernote calendar templates to keep track of a launch or an event. For this one I definitely suggest the monthly and weekly calendar templates. But you could also add the yearly and daily calendars as well. Leading up to a launch may include all kinds of benchmarks, dates, recordings, and deadlines. The monthly calendar will be helpful in keeping track of this and being able to look at what you have going on spatially. Launch week is hectic and you may have webinars, live streams, interviews, etc. going on every day. The weekly calendar may help you and your team know whether you’re coming or going–literally. If there are multiple moving parts to your launch, the daily calendar can serve as an hour-by-hour guide to what’s happening. The daily calendar is really helpful for events (live and virtual). It can serve as a production schedule; and can be shared with staff, volunteers, or printed for event venues. You can add your launches or events to the yearly calendar via the next calendar type…your Big Rocks Calendar. For those of us with multiple responsibilities (family, work, business, blog, volunteer, etc. ), knowing the “big rocks” of the year is important. Big Rocks are the important things in our lives. Big Rocks are individual and subjective, but can include birthdays, anniversaries, important vacations (family and personal), career shifting conferences, events at church, etc. I suggest starting this calendar on the yearly template. This will allow you to at a glance see chunks of time that are important to you. Consider assigning colors to the important areas or programs. Color the cell blocks associated with dates of vacations, product launches, deadlines, etc. You can then transfer and block out dates on your other calendars (i.e., content or launch). This is not designed to necessarily replace electronic calendars or paper planners. But this can be a great tool to refer to when people ask you to take on another project or task. If you’re considering it, you can look at this calendar and see if it conflicts or interferes with other things. Or it can help you ascertain how busy your prior month or subsequent month is; which may help you decide to not accept new projects or clients in order to recuperate or prepare. P.S. I recommend blocking personal days (preferably weekends) of self care in red. There is a “national day” or “holiday” for just about everything. For instance, on the day I wrote this post, it’s National Oatmeal Muffin Day and National Hard Candy Day. And it’s also National Tie Month and National Human Rights Awareness Month. Some of these months or days may be of interest to you or your brand. They may be silly and quirky and will just be fun to participate in. But other days could be pivotal and strategic for your brand’s focus and exposure. But considering there are 365 days a year, keeping up with this can be daunting. Take some time and open the yearly AND monthly calendars and go through sites like the National Day of Calendar site and add dates to your calendar. Color code them on both the yearly and monthly calendars (especially a content calendar). Don’t just do dates directly related to brand or blog, choose some fun or silly dates. This will be a great way to engage your audience and find out who else you may have things in common with. Now that you have an idea of how to incorporate the Evernote Planning Calendar templates into your productivity plan, I hope you will download the templates found here. Leave comments below if you have other ideas on how to use Evernote calendar templates in your life or business.